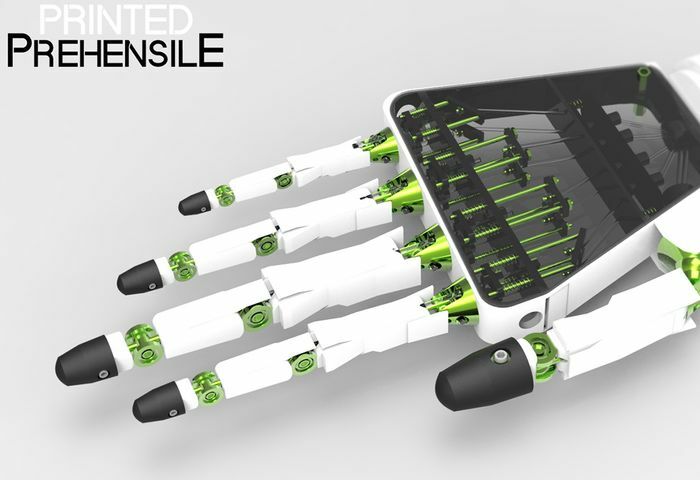 Fraser Leid a 3D design student from the UK has unveiled a new style of 3D printed prosthetic hand called the Prehensile that aims to take prosthetic technology to the next level. Thanks to the introduction of affordable desktop 3D printers the ability to create prosthetic hands by individuals has increased dramatically and lead to innovations and developments in the area that would have not been possible before. 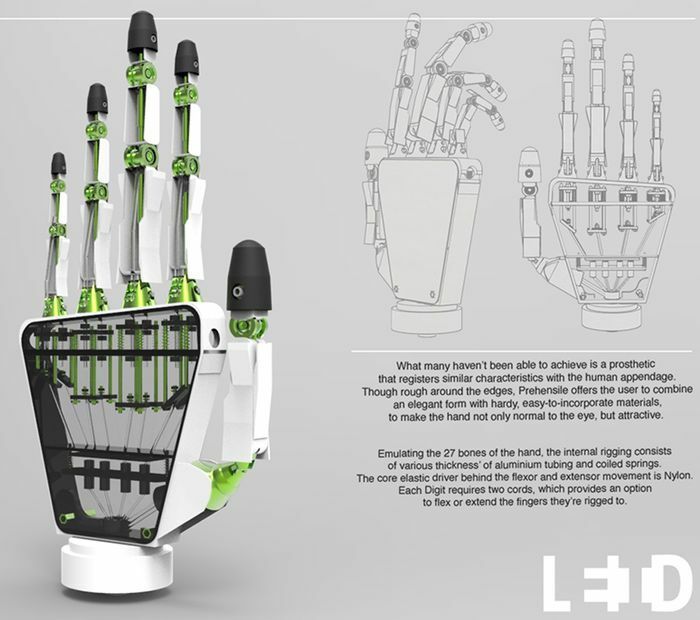 Leid explains more about his inspiration and design thoughts behind the development of the Prehensile prosthetic hand. I try my utmost to go against the status quo by innovating anything and everything that comes to my mind. It requires a lot of thinking, and a lot of the time. It involves questioning ‘why’ things are made the way they are. The Inspiration behind the Printed Prehensile was the idea that it came in a kit — something that a person without the limb would be able to buy and have assembled — which in turn, would greatly lessen the cost of the prosthesis and also allow the user the opportunity to personalise it (Hands building Hands). The system is a blend of various thicknesses of ABS Plastic and Aluminum fittings, which either are assembled with cap screws or as a snap-fit. An interesting take on the idea was to integrate Nylon cord as the material required for flexor and extensor movements, as well as individual coiled springs to help the fingers to reset. Visit the Fraser Leid website for more details about his prosthetic hand and other creations he has designed during his studies.